Among the many different tactics that advocates have taken to fighting fracking’s harms, litigation is among the most powerful tools. Yet the rise in these legal battles have led to a need for organizing all of this information in a way advocates and the legal community can use cases, both past and current, to support their work. American Association of Law Libraries has recognized Ravel Law with its New Product of the Year Award for 2016. 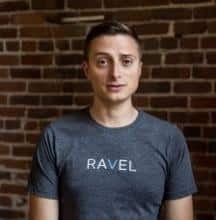 Ravel Law is a legal search, analytics, and visualization platform that enables individuals to find, contextualize, and interpret information that turns legal data into legal insights. We believe both attorneys and advocates will be empowered from this huge influx of information and find much value in it to advance their work. Halt the Harm and Stop the Frack Attack bring you this webinar, presented by Environmental Action Center’s David Reed, to provide an overview of how the tool works and facilitate a discussion for audience members to ask questions and find ways to better support the work they are doing with Ravel’s help. Halt the Harm is currently in a pilot phase of exploring Ravel Law. The feedback and participation in this webinar will greatly inform Halt the Harm’s decision on moving forward in a partnership with Ravel Law as a support service for the network’s Leaders. Learn more about the map of litigation pilot service and how you can participate here. Ravel Law is a new legal search, analytics, and visualization platform. Ravel enables lawyers to find, contextualize, and interpret information that turns legal data into legal insights. Ravel's array of powerful tools – which include data-driven, interactive visualizations and analytics – transforms how lawyers understand the law and prepare for litigation. Dave brings environmental science, policy and legal experience, specializing in wetland management and water issues. He has managed or supported both small and large scale environmental monitoring, and has been involved in policy recommendations for both state and federal restoration projects. 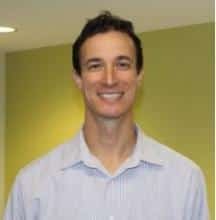 He has extensive experience with wetland forest and marsh responses to long-term changes in hydrologic cycles and water management regimes in the Florida Everglades. Mr. Reed also clerked for the U.S.
Hannah graduated with honors from the State University of New York College of Environmental Science and Forestry, with a Bachelor of Science in Environmental Studies concentrating in Policy, Planning, and Law. 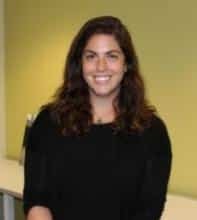 Hannah brings experience in water, federal lands, and wildlife issues to the Center, and will lend that experience to EAC’s oil & gas and water quality projects.